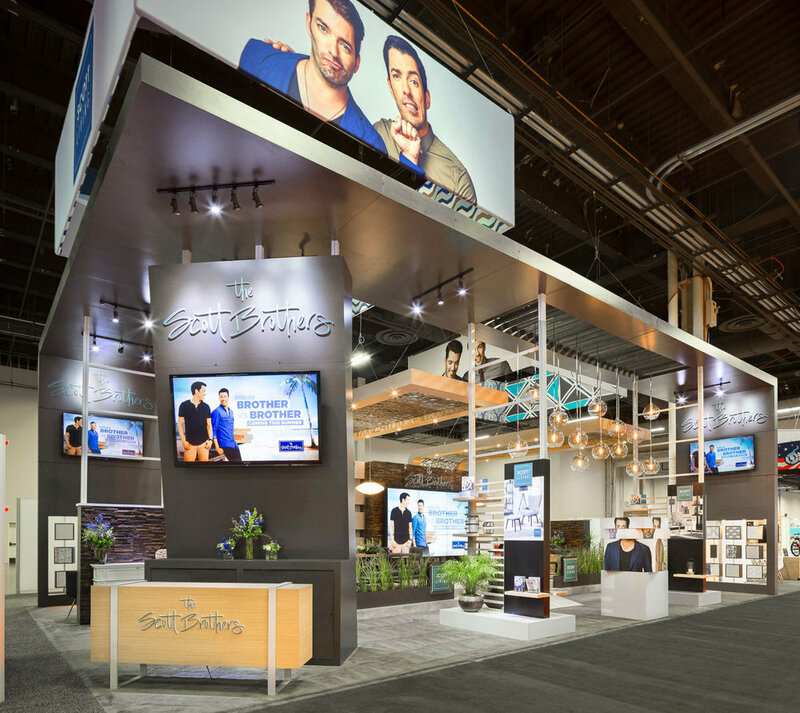 Ensure your dominance on the show floor over a sea of generic stands with a custom constructed trade show exhibit. Reflect your unique attributes from the main structure to product displays and graphics down to the smallest details. Our full wood and metal shop can make any concept a reality from large to small. 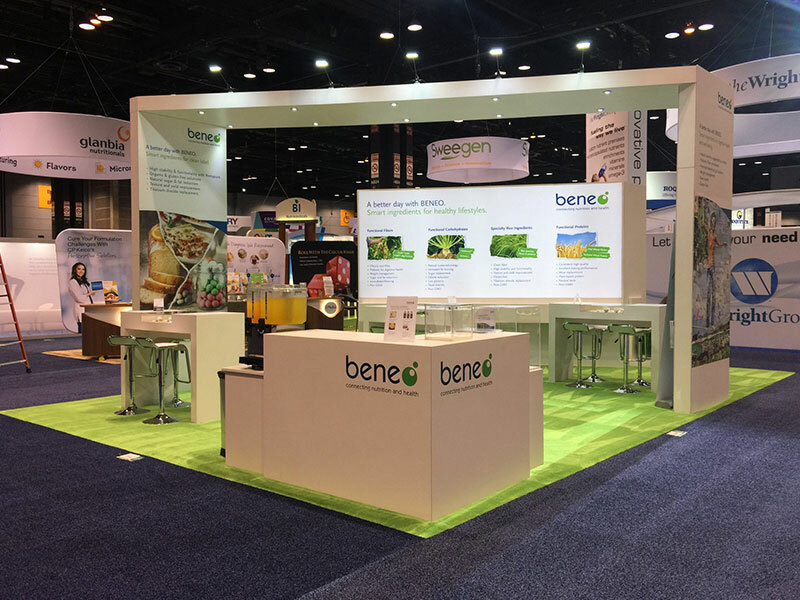 Inlines and islands of all sizes can benefit from a bespoke display tailored to how you'd like to communicate with show attendees. Desire the custom construction look but lighter on budget? 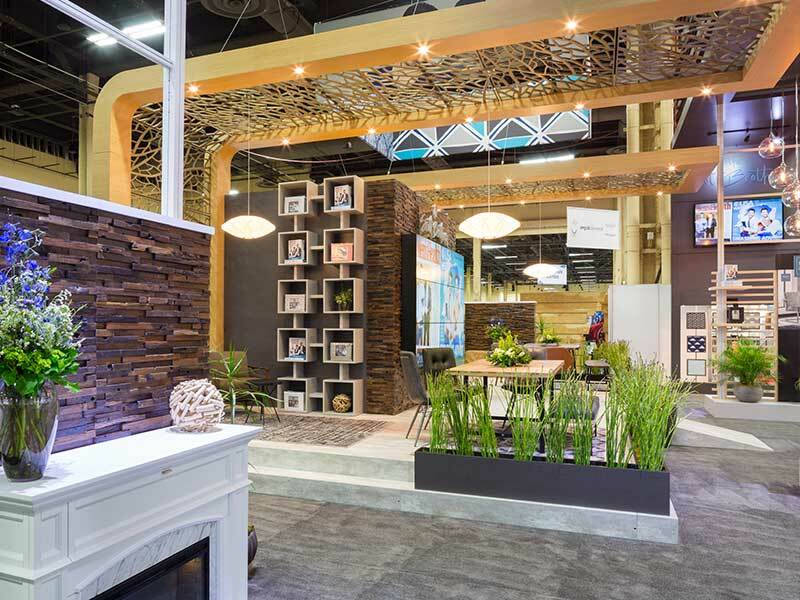 RND Exhibits has spearheaded the industry trend on combining custom construction with system rental components to optimize value. Bold architecture combined with red led lighting expresses the innovative zest of VT Systems. 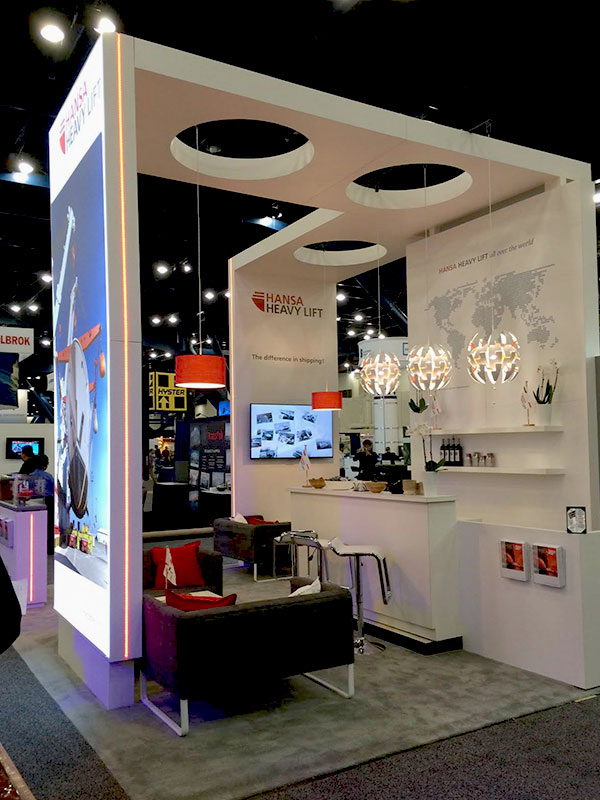 The aerospace manufacturer needed a 20' x 40' exhibit for the MRO Show. RND Exhibits balanced open areas against a meeting room containing a 14 person conference table. 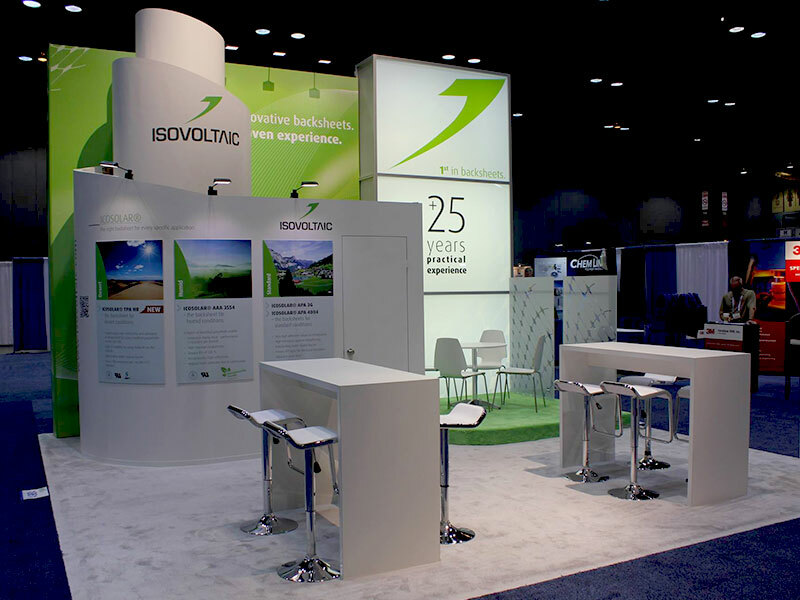 To maximize value we married system components to custom structure for the conference room. What's more American than a juicy diner hamburger? 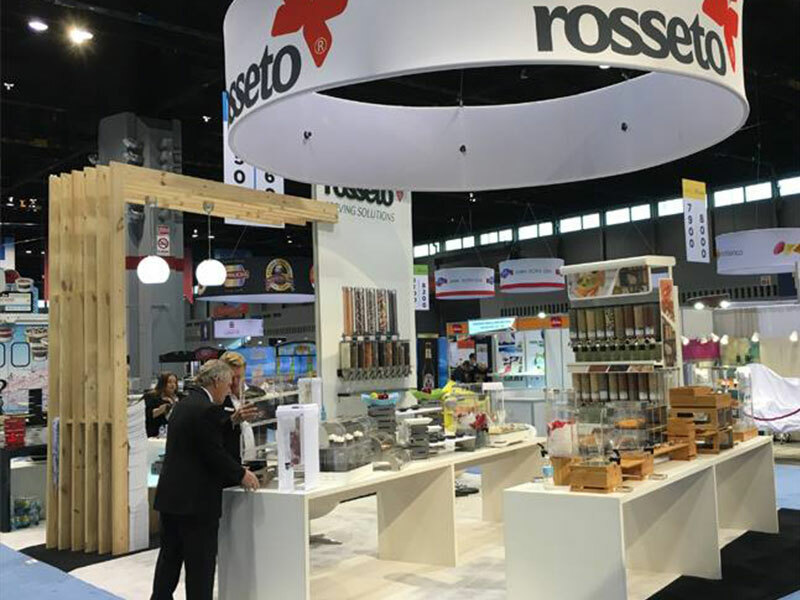 US One, a major beef distributor, worked with RND Exhibits to conceptualize and design a little piece of Americana here and build it with our overseas partners in Dubai for Gulf Food Show. 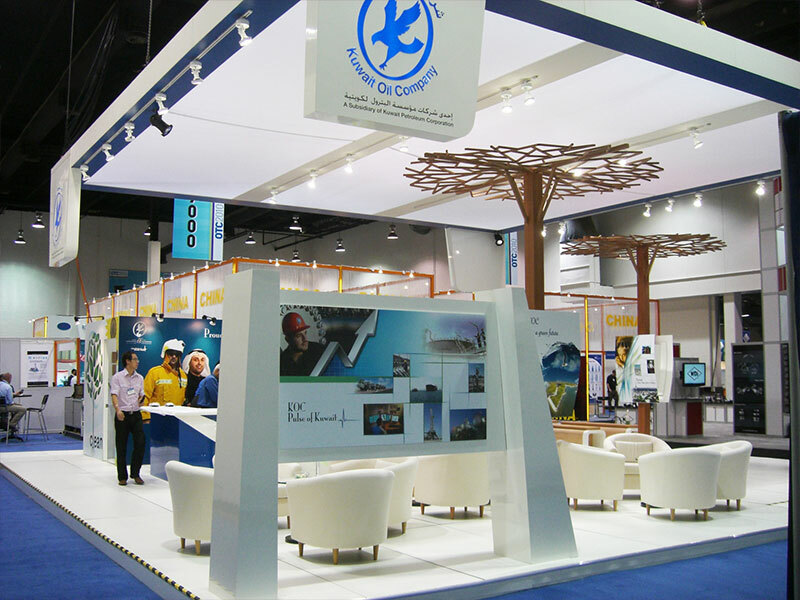 An international stand building partner brought RND Exhibits an intricate custom 70' x 70' stand design for China National Petroleum Corp at OTC 2015. Our engineering department translated the existing design into build ready detailed drawings. Fabrication followed in the carpentry shop, then we shipped the booth to Houston and managed all show site installation and dismantle. 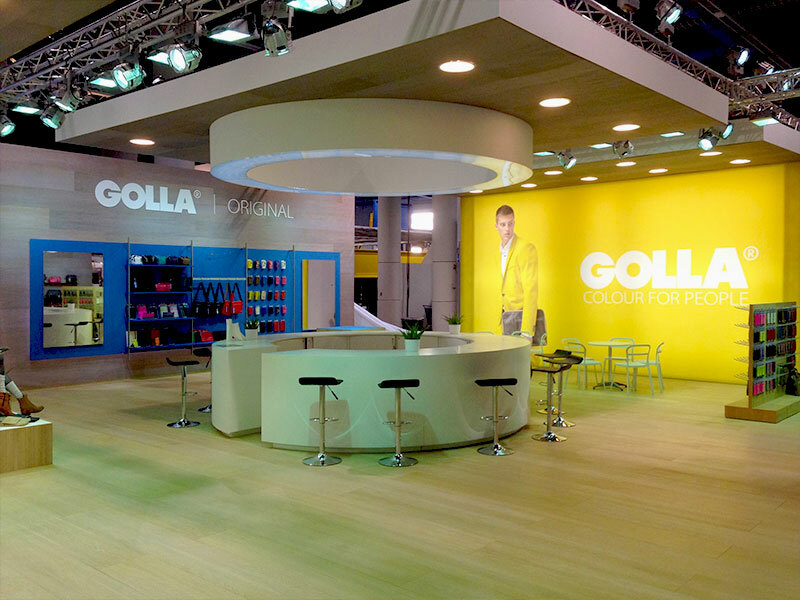 Want to see more examples of our work? Check out our gallery on the Our Work page.